Long after chefs are dead, the deeds of their fare live on in the memories of those present. Roasts of beasts and the cooking kings, of clowns and misguided college graduates, and sailors lost at sea. The tales told here are those of present and past, of jealousy and hatred, compassion and devotion. They deal with the challenges that confront the the peoples of today. They deal with the search for a better meal, and for a deeper understanding of the food we eat today. Who invented the biscuit? Where do noodles come from? How did marinara win a heart? Combining a love of great food with an equally great love of story, author and chef Eric Johnson dares to invent his own version of the truth. Travel back in time to a moment when a dish was prepared that was like no other before it. These food fables speak to the deeper meaning behind the food we eat. 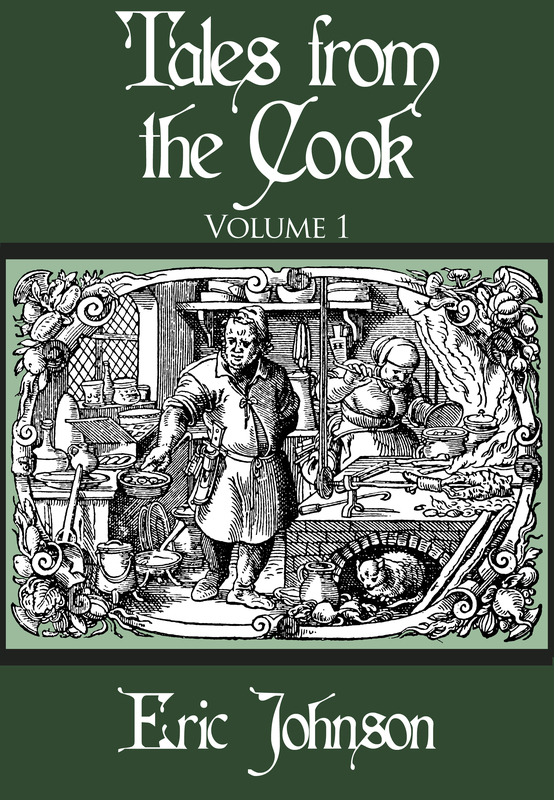 Step into the world of Tales From The Cook, but beware, you may whet more than your appetite. Who knows? Maybe you’ll spark your own imagination, and find yourself sharing your own Foodie Tales.